Balham Arms is a busy pub located in the main stretch of Balham High Road. They serve up top beer and modern British grub with an upmarket twist. Do you work at Balham Arms? 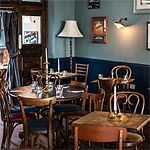 What did you think of Balham Arms?